(Bloomberg) -- Thailand is heading into its first general election since a military coup almost five years ago, reigniting festering political divisions that could hamper its economy and buffet Asia’s strongest currency. Former premier Thaksin Shinawatra or his allies have won every election since 2001, only to be unseated by force or the courts in a long power struggle with the military and royalist establishment. 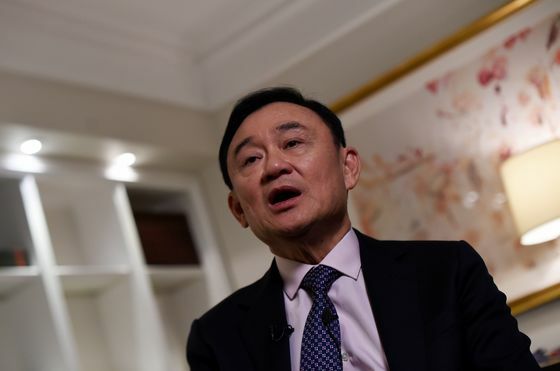 The 69 year-old Thaksin lives in self-imposed exile after a corruption conviction that he calls politically motivated. The upcoming March 24 poll has stoked fears that the cycle of instability will come back, posing a risk for an economy already absorbing a slowdown in exports and growing more slowly than neighboring nations. Here’s everything you need to know about what’s at stake. 10. Number of kings in the Chakri dynasty, which is treated as semi-divine in Thailand. In February, King Maha Vajiralongkorn rejected his sister’s nomination as a prime ministerial candidate for a Thaksin-linked party, which was subsequently disbanded by the courts. 12. Number of successful coups in Thailand since it became a constitutional monarchy in 1932. The current period of military rule is one of the longest in modern Thai history. 20. Number of constitutions since absolute monarchy was abolished. This vote is the first to be held under the latest version, which was written after junta leader Prayuth Chan-Ocha seized power. He’s seeking to return as prime minister, helped by new rules that call for a military-appointed Senate. 51 million. This is the number of eligible voters, who must be at least 18 years old. It’s equivalent to 74% of Thailand’s population. 40 million. The approximate number of foreign tourists expected to come to Thailand this year. Tourism receipts helped make the baht Asia’s strongest currency against the dollar this year. 11 million. Approximate number of people employed in the country’s agricultural industry. The overall rural population makes up the key bloc of potential voters. Many are thought to continue to favor Thaksin, who created huge, populist welfare programs for them. 376. Number of votes needed in the 750-seat National Assembly to choose a new prime minister. This includes 500 members of the House of Representatives that will be elected on March 24, and 250 Senators appointed by the junta. 68. Number of prime ministerial candidates running in this election. Only eight are women. 1. 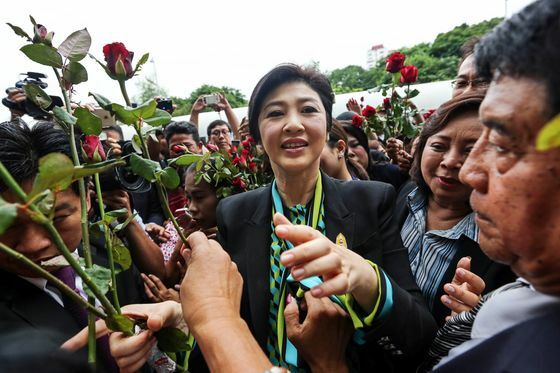 Only one woman, 51 year-old Yingluck Shinawatra -- Thaksin’s sister -- has served as prime minister since the country became a constitutional monarchy in 1932. She was unseated in the 2014 coup and fled after being sentenced to jail in a case she said was politically motivated. The junta leader seized power in 2014 when he was army chief, clamping down on freedom of speech and assembly. 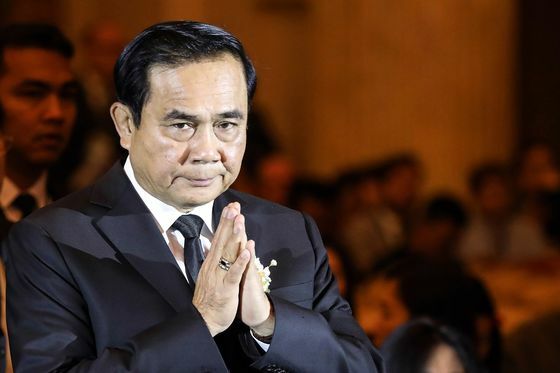 A quick-tempered songwriter, Prayuth has pushed to expand infrastructure projects and investment, and started a welfare program for people on low incomes. The 64 year-old is backed by Palang Pracharath, a party led by four of his former cabinet ministers. The most high-profile woman candidate in male-dominated Thai politics, Sudarat is a former agriculture and health minister. She’s a leader of Pheu Thai, the country’s Thaksin-linked main opposition party. A staunch critic of the the junta, Sudarat, 57, has blamed Prayuth’s government for an economic slowdown and promised to revive growth. The Oxford University-educated former prime minister is the leader of the Democrat Party, the main rival to Pheu Thai. The Democrat Party could be a key player in forming a governing coalition and determining who becomes premier. 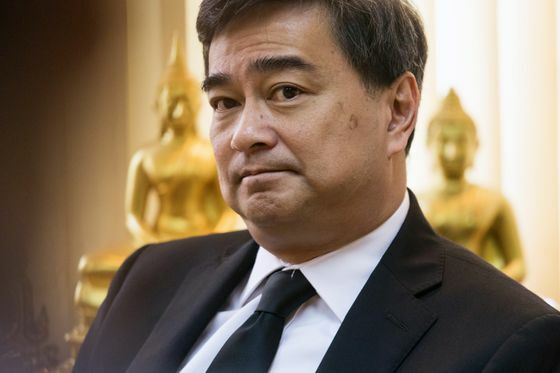 Abhisit, 54, opposes the junta leader’s return to power, and could himself be a contender for the top job. A tycoon-turned-politician, Anutin is running on a campaign of legalizing marijuana as well as services in the sharing economy, like Airbnb and Grab, that are still illegal in Thailand. Anutin, 52, is the leader of the Bhum Jai Thai party, which is popular in a few provinces in northeastern and central Thailand. He expects the party to be indispensable to any governing coalition and is viewed as a potential consensus prime minister candidate. Another tycoon-turned-politician, 40 year-old Thanathorn is the leader of the Future Forward party, one of the biggest critics of the junta. The party seeks the return of full democracy and its aggressive campaign has unsettled some supporters of the military administration. Thanathorn faces a case under the Computer Crimes Act for online commentary criticizing the junta, and has said the authorities are trying to muzzle critics.